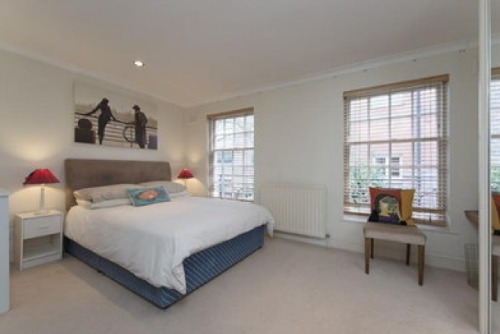 Enjoy all the charms of Notting Hill with your own home in London! Pastel hued buildings, pretty tree-lined streets, intimate cafés and all those marvellous antique shops – these are just a few of the charms of Notting Hill in London. 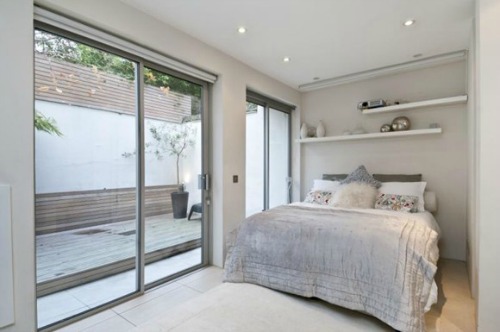 Many of our guests dream of calling Notting Hill home, and we’re always on the look out for those very special properties that have all the right features to make lovely homes as well as perfect investment properties. Buying a vacation rental in London can be tricky, and the hardest part is finding those rare properties that don’t ever make it to the market or — if they do — are scooped up right away. Our favorite search agent, Suzanne Millar has discovered two amazing finds right in one of our favorite neighbourhoods – Notting Hill! The living room could use some updating but what matters is that it’s spacious and bright in a perfect location.. Our team is sorely tempted to dig in, add some accent colors, roman shades and more classic funiture – voila … it will become a beautiful contemporary room! 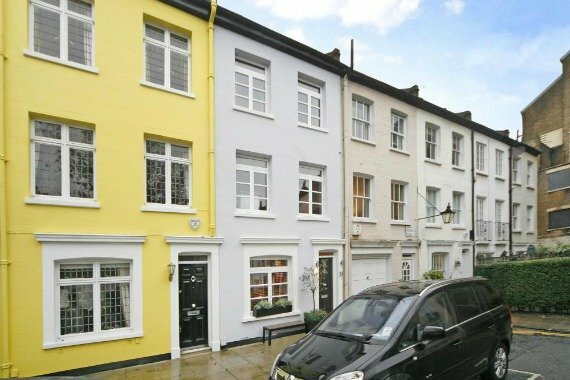 Set right in the heart of Notting Hill near the chic shopping areas of Westbourne Grove and Ledbury Road, this mews home is located on three levels and features a garage and private patio. Inside you’ll find a beautifully remodelled kitchen with access to garden patio, a separate dining room and a powder room on the ground floor. 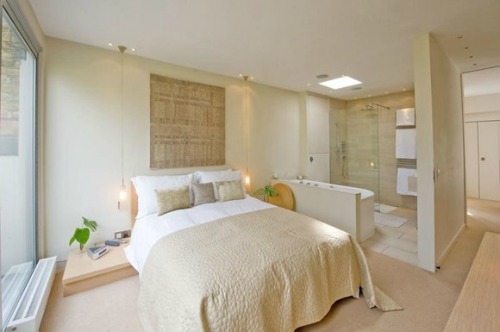 On the first floor you’ll find a lovely sitting room and master bedroom with en suite bathroom. Up one more floor and you’ll find two more bedrooms, a full bathroom and a room that could be an additional bedroom or a study. 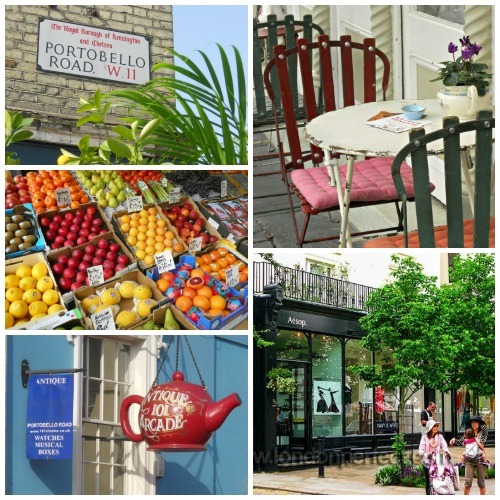 Step outside and you’ll be just a short stroll from all the best of Notting Hill, including the food market and famous antique shops along Portobello Road, lovely shopping areas, Kensington Gardens and excellent restaurants and cafes. The owners have had one bid below the asking price and we expect it will sell at or above quickly. Contact Suzanne Millar for more details. Our decorating genes are already at work on the patio. Large rectangular pots along the walls filled with white hydrangeas. Rattan style table with umbrella, climbing plants along the walls; soft uplights at the bottom of the plants – fabulous! 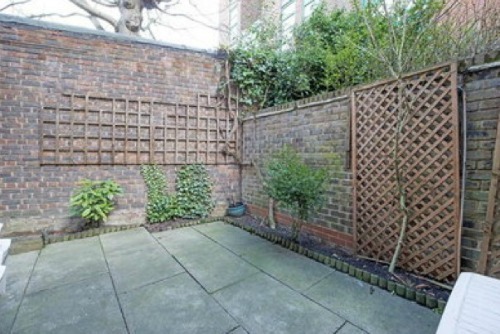 With an ideal Notting Hill location and lovely outdoor space, this mews home would make a wonderful family home in London as well as an excellent rental property for investors. 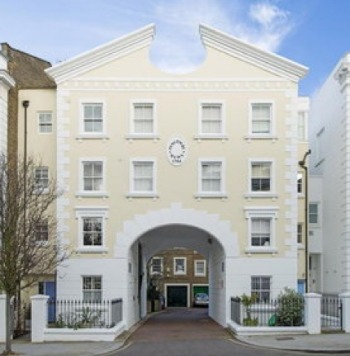 Why We Like Mews Houses: Mews houses only became “homes” in the past 30 years, for they were originally the stables where the horses, carriages and servants lived in the Victorian Era. Located in quiet cobblestone streets behind the grand white Victorian homes, the Lords and Ladies called on their servants to bring round their carriages from the mews behind their gorgeous homes. London started to grow as an important financial center in the 1980s, and citizens around the world began to realize that England is a politically stable country and a solid country to invest in. Gradually, these old stables were bought up and re-developed into charming homes. The garage doors are where the old coaches and horses were kept and you can often see a doorway above where the hay was stored. We like mews homes as an investment for two reasons: the first is that you can own them freehold – they are yours forever. The second is they are real homes, albeit smaller (and naturally less expensive) than the grand homes in the streets in front. They are tucked away from the bustling crowd. And finally, you don’t have service charges – all reasons that make mews one of our favorite types of investments in London. They make excellent homes for your stay in London, any time of year. And when you’re away, they are excellent short term rentals which we are delighted to market and manage while the owner is away. One glimpse at the photos of this mews home in Notting Hill and we were smitten! 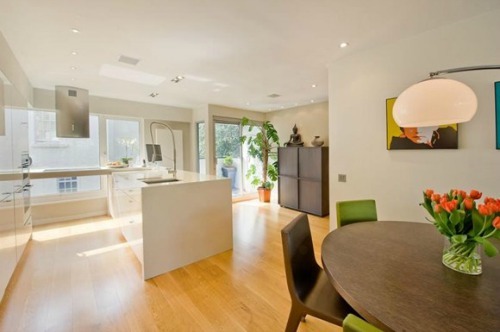 Located near Holland Park, this mews is an open, spacious and beautifully refinished contemporary home. Enjoy a nice outdoors space with your own decked patio garden that opens from the ground floor and a balcony just off the master bedroom. Inside you’ll find a large open plan kitchen, dining area and living room on the first floor and upstairs a master bedroom with en suite bathroom and an additional bedroom with full en suite bathroom. 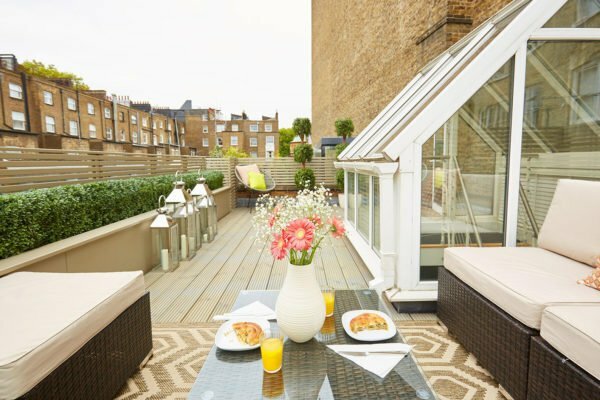 Take a peek inside this beautiful mews home in Notting Hill! 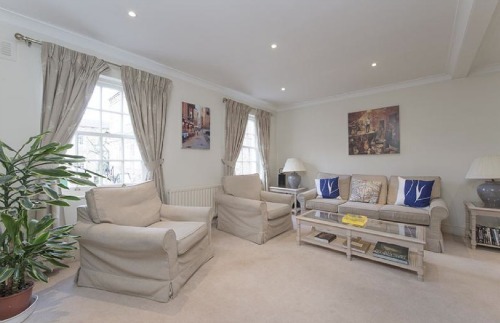 This mews home is a rare find and is offered at an excellent price. 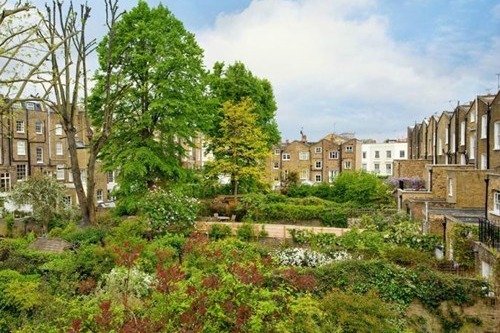 The location is great for enjoying the charms of Notting Hill as well as being very near all the great shops along Holland Park Avenue and the beautiful Holland Park gardens nearby. Quick … Quick … Find Out More! Both of these remarkable mews homes will not be on the market for long, especially at these prices! One of the biggest perks with buying a mews home is that they are 100% yours and you won’t have to worry about expensive building charges and common fees. If you’re looking for a second home or investment property in London, these are outstanding homes for great value! 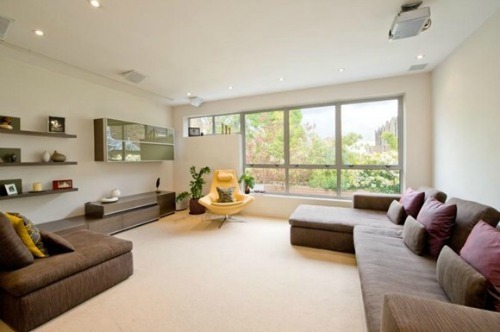 If you are interested in owning your own home in Notting Hill, please email Suzanne Millar immediately for more details. NEXT: Art13 London – A Modern & Contemporary Art Fair in Kensington! 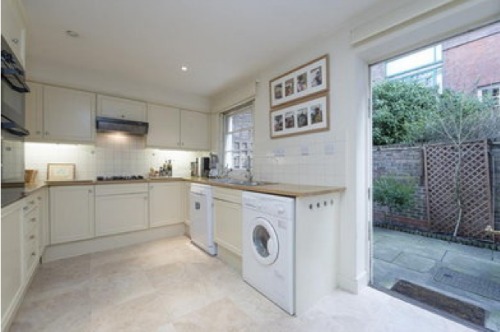 Posted on Friday, February 22nd, 2013 at 12:29 pm in Properties for Sale in London. You can follow any responses to this entry through the RSS 2.0 feed. You can leave a response, or trackback from your own site.